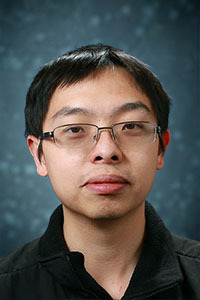 Dahua Lin received his Ph.D. from the department of EECS at Massachusetts Institute of Technology in 2012. He received his M.Phil. from the department of Information Engineering at the Chinese University of Hong Kong in 2007, and B.Eng. from the department of Electrical Engineering and Information Science at the University of Science and Technology of China in 2004. He was a research intern at Microsoft Research Silicon Valley, Microsoft Research Redmond, and Microsoft Research Asia, respectively in 2010, 2009, and 2004. He received the Best Student Paper Award at NIPS 2010, and the Outstanding Reviewer Awards at ICCV 2009 and ICCV 2011. His research spans multiple areas in machine learning, data science, and computer vision. In particular, he is interested in developing new probabilistic models and machine learning techniques for large-scale data analysis, as well as their applications in image and text understanding. He has also worked on a variety of topics in computer vision and pattern recognition before joining CUHK. Dahua Lin. "Online Learning of Nonparametric Mixture Models via Sequential Variational Approximation." Advances in Neural Information Processing System (NIPS), 2013. Dahua Lin, Sanja Fidler, and Raquel Urtasun. "Holistic Scene Understanding for 3D Object Detection with RGBD Cameras." International Conference on Computer Vision (ICCV), 2013. Dahua Lin, and Jianxiong Xiao. "Characterizing Layouts of Outdoor Scenes Using Spatial Topic Processes." International Conference on Computer Vision (ICCV), 2013. Dahua Lin, and John Fisher. "Coupling Nonparametric Mixtures via Latent Dirichlet Processes." Advances in Neural Information Processing Systems (NIPS), 2012. Dahua Lin, and John Fisher. "Manifold Guided Composite of Markov Random Fields for Image Modeling." IEEE Computer Society Conference on Computer Vision and Pattern Recognition (CVPR), 2012. Dahua Lin, and John Fisher. "Low Level Vision via Switchable Markov Random Fields." IEEE Computer Society Conference on Computer Vision and Pattern Recognition (CVPR), 2012. Dahua Lin, and John Fisher. "Efficient Sampling from Combinatorial Space via Bridging." Proceedings of 15th Conferences on Artificial Intelligence and Statistics (AISTATS), 2012. Dahua Lin, Eric Grimson, and John Fisher. "Construction of Dependent Dirichlet Processes based on Poisson Processes." Advances in Neural Information Processing Systems (NIPS), 2010.